The Lesotho Defence Force (LDF) has a history of interfering in political affairs and therefore in the mid-1990s the Ministry of Defence was created to transform the Lesotho Defence Force into an apolitical, accountable, capable and affordable defence force. The Ministry of Defence includes the Lesotho Defence Force, Administration and National Security Service. The LDF also works with the Lesotho Mounted Police. Following South Africa and Botswana’s military intervention in Lesotho in 1998 to resolve a political crisis following weeks of rioting, the Lesotho Defence Force was downsized and retrained, with technical assistance from South Africa and India – the Indian Army has trained the Lesotho Defence Force since 2001. The LDF is now considered to be a professional service that is less inclined to interfere in politics. The Lesotho Defence Force’s role is to protect the territorial integrity and sovereignty of Lesotho and uphold the Constitution of Lesotho. However, it has limited capabilities to carry out this mandate. The Force also supports the police and is used for transport and VIP duties. One of its important functions is to combat drug smuggling and cattle rustling across the borders with the Eastern Cape and Free State. 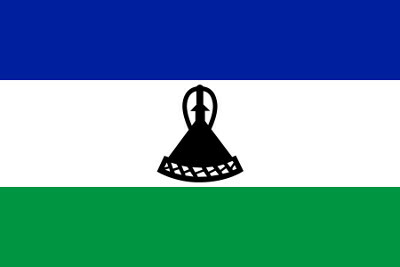 Economic •	Lesotho’s economy is mainly integrated with South Africa’s economy and relies mainly on agriculture, mining, and tourism. •	Poverty, inequality and HIV/AIDS are some of the biggest challenges facing Lesotho. Regional	 •	Lesotho’s borders are very porous, and this has led to cross-border crime such as stock theft, illegal grazing and farm attacks.